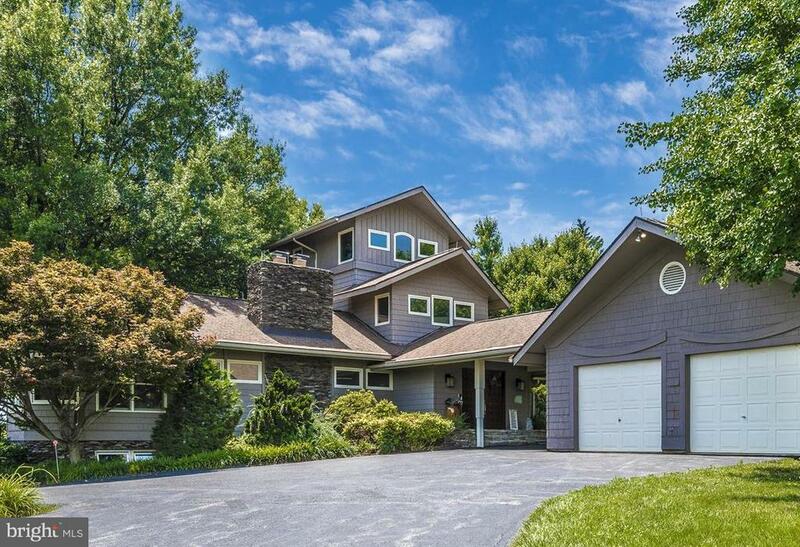 Stunning custom built Frank Lloyd Wright inspired home on over 2 acres in a highly sought after community! Prepare to be wowed from the moment you arrive! Covered driveway w/ ample parking and 2 car garage. Beautiful entry foyer, open and inviting FR and formal DR. Amazing kitchen w/ ample sunlight. Main level master suite w/ sitting room. Large finished basement space w/ room. And several decks!